Pope Francis confirms visit to Ireland for WMOF2018! 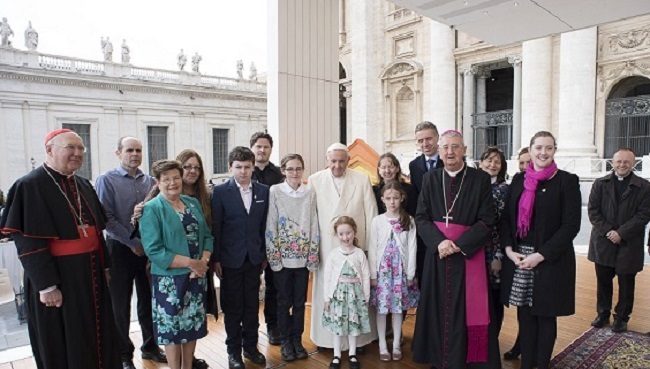 Two Irish families, along with a delegation of staff from the WMOF2018 office were delighted to be present in St Peter’s Square when Pope Francis himself announced that he will travel to Ireland to take part in the 9th World Meeting of Families in August 2018. 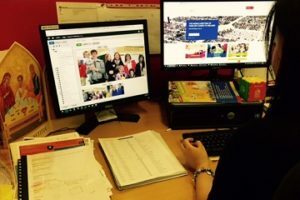 The news was received with delight, with great celebrations and jubilation also in the WMOF2018 offices back in Dublin. His visit will bring great joy to Irish Catholics and others, as we prepare to welcome the Holy Father as well as thousands of families from all over the world to Ireland for this great event. This will be the first Papal visit to Ireland since Pope John Paul II came to our shores in 1979. Pope Francis will attend the Festival of Families on 25th August and he will also celebrate the Final Mass of WMOF2018 on 26th August. Other elements of his itinerary have yet to be confirmed. Preparations have been underway for WMOF2018 since Pope Francis announced Dublin, Ireland as the venue for the 9th World Meeting of Families at the close of WMOF2015 in Philadelphia, USA. The World Meeting of Families, held every three years in a different country worldwide, is one of the biggest events of the Catholic Church. It brings together families from across the world to celebrate, pray and reflect upon the central importance of marriage and the family as the cornerstone of our lives, of society and of the Church. With the wonderful news that Pope Francis himself will attend, the World Meeting of Families 2018 promises to be the single largest occasion in Ireland this year. For more information on Pope Francis and his itinerary in Ireland for WMOF2018, please click here. Booking for the Pastoral Congress in the RDS is now open on our website and includes the possibility of booking free, guaranteed tickets for the Festival of Families and the Final Mass, subject to availability. Details of how to get tickets for the Festival of Families in Croke Park on Saturday 25th August and the Final Mass in the Phoenix Park on Sunday 26th August are currently being finalised and will be available in the coming months. Both are free, but ticketed, events. Children up to 17 are free to all events but remember, all pilgrims, adults and children, will need tickets for every event they attend. Volunteer 2000 – and a call-out for more! We were delighted to register our 2000th volunteer earlier this month – however, we still need thousands more volunteers for WMOF2018! The hugely positive response to Pope Francis’ confirmation that he will be coming to Ireland for WMOF2018 led to a tenfold increase in enquiries and a significant jump in registrations, from Ireland and overseas. Our volunteers will be the backbone of WMOF2018 and will ensure that all families and pilgrims at the event receive a warm, Irish welcome. Volunteer applications have been mounting in recent months and we have had applications from all corners of Ireland – people of every age from 16 years to several in their late 70s, applying either individually or with a group they belong to. Young people aged 16-17 can apply to volunteer, once they do so as part of a group with an adult leader. Remember – all volunteers must be resident in Ireland at the time of application! We have roles in everything from meet-and-greet to media support, from liturgy to logistics and many more. So, come and join us – read about the range of volunteer roles available here. The specially-commissioned Icon of the Holy Family travelled to Rome and was blessed by Pope Francis on 21st March, the day he confirmed that he will be coming to Ireland to participate in WMOF2018. The Icon was on display during the Holy Father’s Wednesday audience in St Peter’s Square. 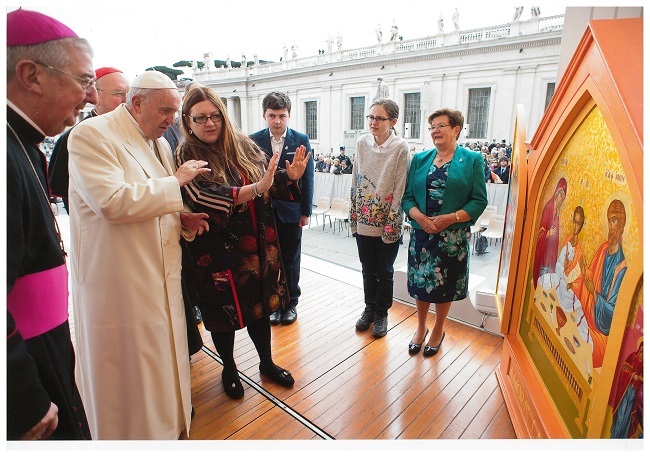 Later, our communications manager, Brenda Drumm, along with Archbishop Diarmuid Martin, described the scenes depicted in the Icon and explained to Pope Francis how the Icon has been journeying to each diocese in Ireland to encourage reflection and prayer as part of the journey of preparations to WMOF2018. It is accompanied by petition boxes, where families can write their intentions and prayer. Contemplative religious orders around the country are praying for these intentions which will be brought to the Pastoral Congress in the RDS in August, along with the Icon itself. Visit the Icon Resources page of our website for further explanations, reflections and prayer resources for the Icon. Our website is updated every day. We invite you to view the latest updates and check out what sections and information has been added to our site. Click here. With just a few short months to go to WMOF2018 , how can YOU support this great event? 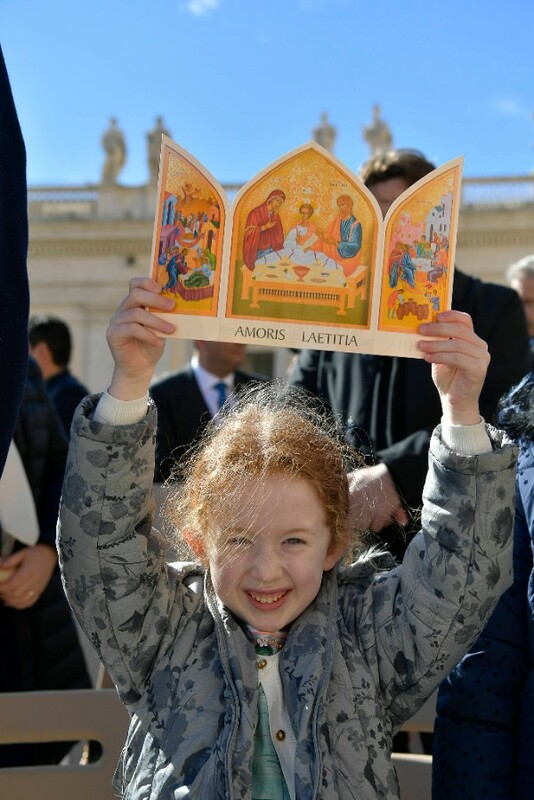 Much work is being done across Ireland and beyond to ensure that the 9th World Meeting of Families is a joyous, prayerful, energising and fun event. You too can play your part – there are many different ways to get involved: Forward this newsletter to your friends, share our social media platforms – Facebook –Twitter – Instagram – register for events and spread the word to friends and family! Subscribers in Ireland can also volunteer for WMOF2018 and participate in local parish preparatory programmes. We can all contribute in some way by giving a little of our time or our talents towards this international celebration of family and putting World Meeting of Families 2018 on the global map! We look forward to staying in contact with you. Copyright © *World Meeting of Families 2018*, All rights reserved.